School Shout Out Denny International Middle School! Thanks for being such a great audience today. Do you want to read one of the books I brought to your school? Click here to see the entire list. Click here to see the prezi again. The summer program starts June 23. Come to the library to pick up your free book and participate in a summer of great activities! Want to write for this blog? Send us an e-mail and we’ll let you know how! Remember to check out our tumblr page to see what Seattle teens create this summer. Check out what else you can do at your library [for free] all summer long! There is lots to see and do and learn and enjoy and experience and discuss. 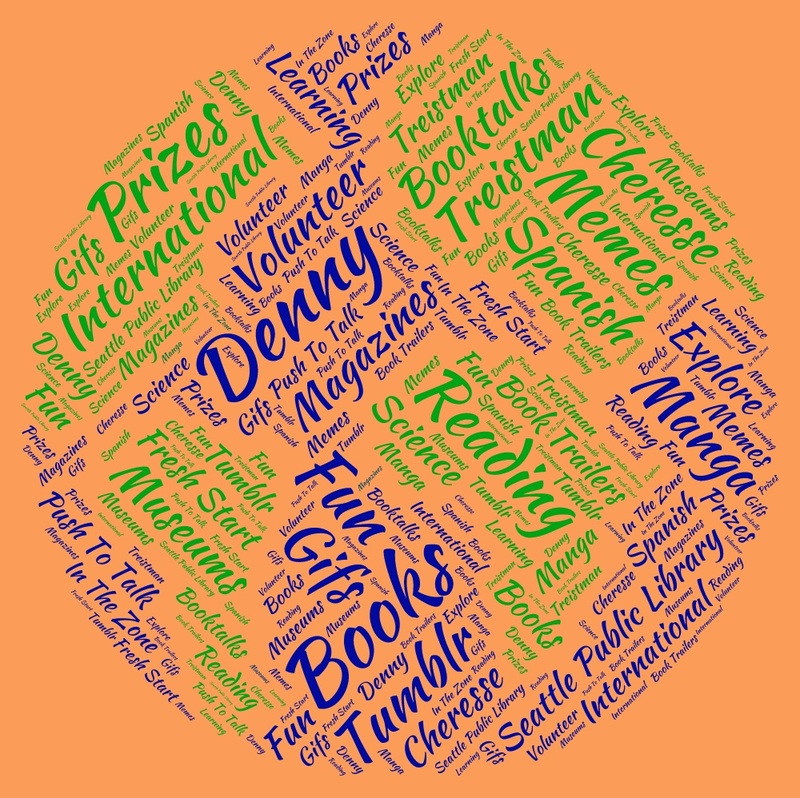 This entry was posted in Book Lists, Community, Events, Free Stuff, Libraries, Seattle, Summer Reading Program and tagged Book Lists, Community, Denny MS, events, Homework, Librarian, Summer fun, Summer Reading Program, Technology on June 10, 2014 by Cheresse.